This village is in architectural serious condition due by nonchalance of its many owners. I did this research several years ago, hoping that one day serve to give new life to this beautiful jewel, and perhaps the most beautiful village in Val d’Elsa. Linari, a small fortified medieval village, it stands on a hill 255 metres over the sea level in a predominant position among the hills of the Valdelsa, just 2 kilometres away from Elsa River. The name Linari derives from Linearis which is a latin toponym and it has the meaning of limit, threshold, place of border. It well represents its position since it is placed on the border between the florentine region and the Sienese one. The first written evidence of the Castle of Linaris the contract of the Badia a Passignano dated back to 1072. In ancient times the castle of Linari was situated at the physical, political and jurisdictional border of the florentine country, it was naturally protected by precipices. 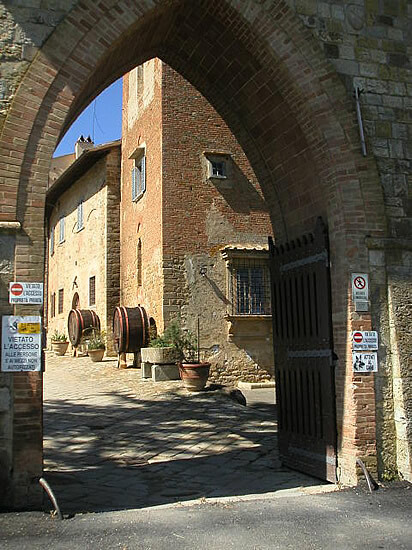 It is designated as a fortified land to control the road to S.Gimignano and Colle Val d’Elsa retreat of Via Francigena. This is the reason for which Linari was contended among the major feudal and municipal powers. Investments of citiziens funds and the process for the development of the farm constituted a consolidated reality also in this area and in other areas of the Valdelsa already before the beginning of 1300. 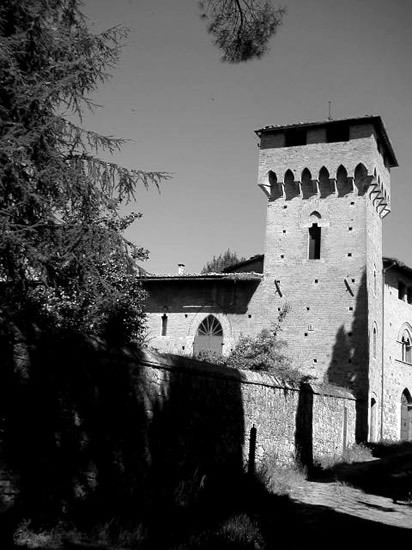 The first owners of the castle were the Cadolingi di Fucecchio but it soon became independent and in 1279 it became a free town. It took part in the league of San Donato in Poggio, it had a lot of benefits and a good prosperity. 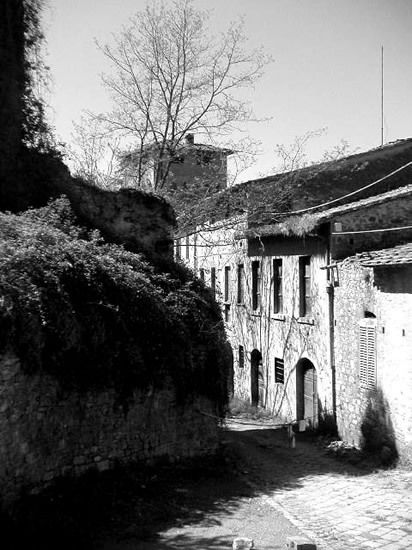 The town was composed in addition to the land of the castle, from places and villages about which there is a memory in the names of old isolated farms: Podere Donatea, Podere Sertofano, Podere Poggetto, Podere Arte and rural residential areas like Capalle, Selva, Giugnano and Vignano. The town of Linari had about 400 soldiers. It was a great number at that time and it was a mark of great imortance. The florentine republic afterwards subjected Linari to its control and this was the beginning of its decline. The castle was besieged, conquered and damaged in 1432 by the troups of FilippoVisconti that killed all the prisoners and brought the prettiest women to the whore –houses of Siena. Niccolo da Tolentino recaptured it in only six days and it made it become the centre of its feud. There is a suggestive affirmation of Leonardo da Vinci which say: “Con somma celerita ne veniste a Linari, castello munito da natura, fortificato da nemici, fornito di validissimi difensori. La vostra magnificenza con sommo ardire et incredibile virtu, sanza bombarde et sanza altro instrumento da combactare terre, solo con battaglia manuale, espugnò e vinse”.The strategic importance of Linari in 1500, after the grand-ducal union decreased. We have to include among the following owners also the families Gherardini, Guidi Capponi, the nobles Mancini Ridolfini and Baldi. During 1800 the castle was restructured according the taste of that period. New neo-Gothic elements were added that had not avoided the original medieval structures like for example the house of the lord with its tower as well as other rural buildings across the central street that today can be only partially traveled. This street linked the disappeared doors of entrance, the north one is called Porta a salti ( today we have a medieval style reproduction dated back to 1900) and the south one probably called Porta al Perone. The north door is probably called Porta a Salti because of the strong natural depressions of the tuff ground in this side of hard access. The entrance is easier from the south side because the ground extend to an upland that reach the valley more gradually. At the foot of the hill on which stands Linari flow thre rivers: the Drove, the Staggia and the Bozzone which are tributaries of the river Elsa. The walls with their elliptical shape have disappeared aside from two towers and the base of a third diruta. 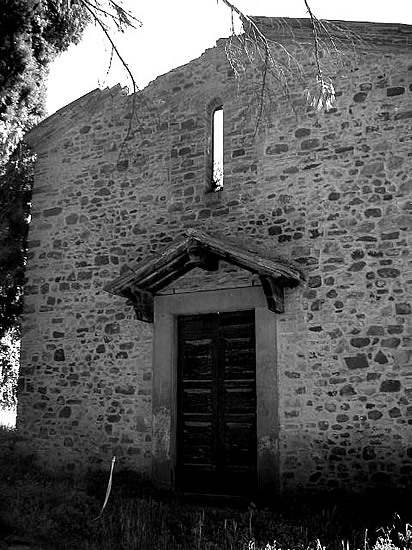 Linari has two mportant churches, the most important is the church of S Maria built over the Rocca’s Area. In this church which is partially collapsed we can see an incription that remember That Linar was a free town. Outside the city walls there is the Church of Santo Stefano (cited in 1202 as belonging to the town of Semifonte) that is a nice church with its fourteenth century rural romanic style with one nave. Close to this church there is the oratory of San Carlo Borromeo. A lot of suggestive elements are Gothics. During the feudal regime, the greater part of the inhabitants of Linari belonged to the class of the faithfuls, which were people that received estates in emphyteusis by being subjected to many heavy obligations. The emphyteuta could not sell the houses and lands that have been given to him without the consent of the lord. He must be on watch on the glacis and at the castle doors and they must pay every year the mandatory supplies. During the XII century, the servile and heavy condition of the majority of the faithfuls caused a strong fight of the oppressed persons in order to avoid their obligations. On may 29 1270 it become free town for the first time. This was controled by consuls and it was probably established by unassuming owners and by farmers, that are waged daily. When there was the necessity of call all the men, they meet in the church of S.Maria, with the consuls and a notary which took the money of the penalties and wich took the reports to Florencia. The meeting was announced by the sound of a bell and by the voice of the crier. Only the persons that paid public taxes were allowed to the general council. Proletarias and who hadn’t any money were not allowed. At that time in Linearis lived about 1500 persons. Up to few years ago there was a gravestone close to the public tank which remember the moment in which Linari was become a free town (MCCCLXIX… COMUNE LINARI….P:TO APPIANO…..). Above the tank the is a small room wich formed part of the former town building with a little square in front of it called platea communis. The building has been demolished in 1844 because it was unsafe. The limitated walls of the castle made the houses ones close to eachothers, a lot of houses were similar to hut or holes. Few rich families lived in the castle. Much more were owners of lands and they made their work paied with their sweat. The majority of the population don’t have any property. Inside the walls there were a lot of caves diged in the tuff, which at the beginning were used as houses. The tradition says that a lot of country houses that were on the slope rich in water close to the castle has been extincted. There were many cultivations of grape, olive trees, grain and barley. The land was measured by staioli and it was divided into Panora and Pugnora. The measure of the oil was called broccola. Games with money were not allowed, there were strict measures both for who played And for who watched the players. There were games like chess, knucklebones, marelle (called also the game of the tiles), the hit with dards (archery) that were allowed. All the owners and the persons who didn’t have any property had to pay taxes to the church, to repair streets and rivers in their town in may. The owners had to keep the public streets cleaned and they had to cut the hedges in agoust. If during a funeral a relative didn’t go to say goodbye to the death person he had to pay 20 coins. There was a penalty also if during a funeral there were not a person on the house door to wait for the priest to come and to bring the death person to the church and to the cemetery. Capturing delinquents on friday because it was the day of the market of San Donato. Throwing stones on the roofs of the houses is not allowed. The penalty was doubled if stones were throwed on the windows of the houses in which there are wimen. The village was fortified land on the borderline between Siena and Florence. For this reason the inhabitants of Linari didn’t have an easy life until the family of Medici unified Tuscany. There was misery among peasantry but also the state of war between the two cities. It caused assaults, deaths, devastations of cultivated lands and deportations of inhabitants. 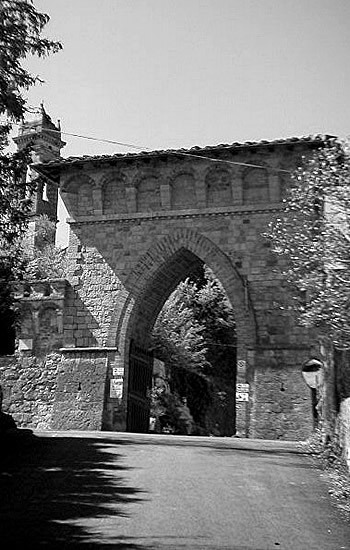 In the past it was not such a nice place even if the valley between Linari and Sant’Appiano is called Valcanora according to the melodies of the birds, to the sounds of the water springs and to the scent of its flowers and its woods…. The church of S.Stefano in Linari, situated outside the castle of Linari in the south-west part of the hill facing the valley of the Elsa, was adduced as simple church forming part of the land of Semifonte before it was destroyrd on 7 april 1202. Between 1260 an 1266 suffered heavy damages caused by the Ghibellini of Florence which destroyed the properties of Guelfi. It was suffragan of the pioneer of S.Appiano from 1266 to 1277. Close to the church of S.Stefano there was a comunity of canons as it is shown in the Rationes Decimarum of 1276-77 and in the next documents. During the XIV century Linari has been in the centre of lots of movements. 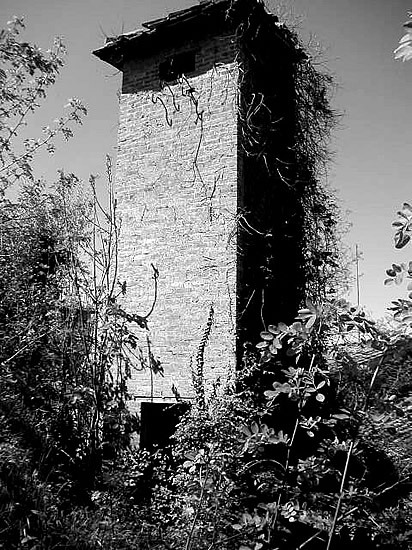 It is demonstrated by the fact that there were a lot of hospitals, hotels in that place: Cortebuona (already in 1348), S. Niccolò (from 1289 in which staied the pilgrims during their trip to Rome but today is disappeared) an S. Maria (1313). This function gave it a good prosperity till the XIV century . The absence of priests led to a strong degradation of the church that in 1446 was already ruined. During the following years (XVII century) it experienced interventions that introduced a lot of baroque elements. In 1930 have been done some restorations which brought to light the medieval structure cleaning it of the baroque structures and giving it again its sobriety. This small church has the typical structure of the churches of 1300. Rectangulare plant built with bricks with gothic elements in the archlet of the single –lancet window, without apse with sandstone at the base. Above the weathering of the roof of every lateral wall there are six tight single-lancet window whereas on the facade there is an archivolt made by bricks that remind the one of the tribune of San Jacopo and S.Filippo a Certaldo. Romanic elements can be seen in the inferior part of the wall and on the north side where there was an elegant door with an arch made by the original terracotta of Florence made of a arched lintel decorated in a zig zag way. This is one of the most important elements made by terracotta of the Valdelsa. The union of all these elements allow to put this phase of building between the XI and the XIII century. The archivolt of the door between the choir and the sacresty dated back to 1300. Inside it there is an unicoloured fresco that represent the dragon that eat a man and a knight with its lance. The steeple, a quadrated tower with a gothic style, would have much impetus if the cusp was finished. 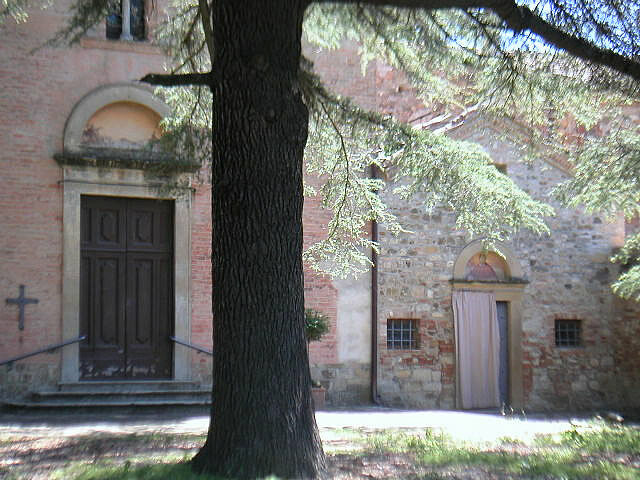 Close to the church there is a small orathory of the late XV century dedicated to San Carlo Borromeo which was host there. On the altar of the oratory there is an eucharistical tabernacle made by stone with renaissance style. In the tympanum there is the trinitarian symbol made by three human bearded faces . Although this symbol has not been approved by the ecclesiastical authority can be found in the much important churches of S. Stefano and S. Trinita in Florence. In the church there was the celebration of the mass because people believed that the name Linari would come from the name of the saint. The church is opened to the cult and it can be visited. 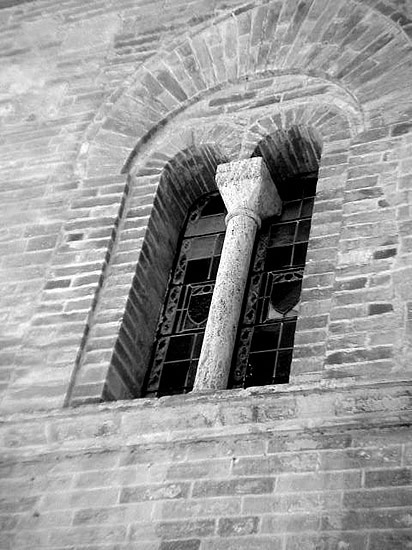 S.Maria a Linari was the church of the castle built on the square of the fortress in the XIII century. The romanic construction had a small semicircular abse that has been lost during the transformation of 1600. The inside part of the church is falling down because the baroque structures has been abandoned for a long time. The nice steeple which is an elegant construction of 1700 give a touch of quality to the hill. From this church the inhabitants of Linari saw the rescues and the enemies that arrived to the town. Since the enemy didn’t have the possibility to transit in the town should have to coast the castle to go to Poggibonsi and Certaldo , hiding themselves in the woods, fording rivers that many times inundated the Valcanora making it difficult to cross. The church was also seat of popular assemblies and of the council. From the year 1313 in the church of S.Maria there were two brotherhoods: the societas sancte marie that had a poorhouse and the societas disciplie that is a company of penitents. There were also this companies in Siena and Florence. The church had a lot of art works: two paintings on table representing the Mary with her child and the Saint painted by florentine painters of XIV and Xv century that now are conserved in the rectory of S.Stefano. Mary with her child “S. Dorotea and Santa Lucia”. The paint made on a table (100 per 54 cm) represents Mary with her child between S. Dorotea it dated back to the florentine school of XIV century and it is attributed to a painter which is similar in style to Jacopo di Cione. The Madonna di Linari belongs to what is called sfera orcagnesca but it show an high artistic quality. We can see how the plastic mass of Mary take field on the entire square and how this sign of effusion is accompained by a little raise of the face. We can see the grace of the Saintswhich as little statues decorate the sacred group. We can notice also how the painter lean on the modelled stop the gradations which are similar to light gloves. “S. Pietro fra Paolo e Giovanni Battista” is a work which represents peace, nice work made by chiselled and gold coper of Filarete. It belongs to the florentine school of the XV century. It was ascribed to Filarete because there are a lot of similarities with the door of the Vaticano. There are the same faces, the same way of drawing the beardes with subtle lines and similar decorations like for example Funds operated as a bizantiza ivory, heads of the putto in the lateral lunettes, the winged puttos, the architecture with corinthianfluted columns. The only important difference is in the drapery taht in Lipari is more free, fluid and plastic (it derived from the Ghibertinian phase of Donatello) while in Rome it was more rigid and linear. The peace of Linari seems to be antecedent to the Roman activity of the artist. In this case it would represent an aspect of his florentine.